Fundamentals of Environmental Engineering is the outgrowth of a team-taught course at Michigan Technological University which provides a bridge for a student to move from their basic science and math courses to their introductory and upper level environmental engineering courses which apply those fundamentals to local and global environmental problems. Fundamentals of Environmental Engineering presents those required fundamentals along with close to one hundred applications for a diverse set of relevant environmental situations including multimedia issues encompassing engineered treatment and chemical fate and transport in air, water, and soil. This text is not just intended for students majoring in civil, environmental engineering or environmental science, but for students from a wide variety of disciplines who may work on environmental problems or incorporate environmental concerns into their specialty. James R. Mihelcic is a Professor of Civil and Environmental Engineering and State of Florida 21st Century World Class Scholar at the University of South Florida. He directs the Peace Corps Master's International Program in Civil & Environmental Engineering. Dr. Mihelcic is a past president of the Association of Environmental Engineering and Science Professors, a member of the EPA Chartered Science Advisory Board, a Board Certified Environmental Engineering Member and Board Trustee of the American Academy of Environmental Engineers and Scientists. He is lead author for three textbooks: Fundamentals of Environmental Engineering; Field Guide in Environmental Engineering for Development Workers: Water, Sanitation, Indoor Air; and, Environmental Engineering: Fundamentals, Sustainability, Design. Student Preface: Why do I Need Fundamentals? All fundamentals are presented and applications cover a wide variety of environmental engineering specialties areas (solid waste, drinking water and wastewater treatment, environmental chemistry, air quality engineering, groundwater transport and redemption, surface water quality, ecosystems). Covers both local and global environmental engineering issues. Many engineering applications presented within each chapter. 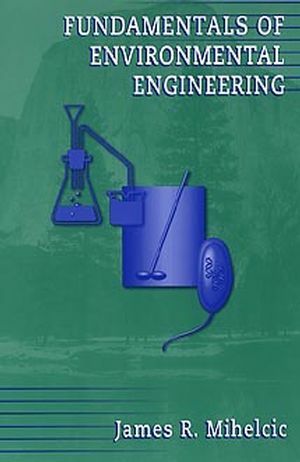 A truly interdisciplinary textbook which is the outgrowth of a single team taught course with faculty contributing from a diverse set of environmental engineering specialty areas. Rigorously reviewed by a seven member undergraduate student panel of civil and environmental engineering, chemistry, and biology majors over a three month period for technical content.